UPDATE: Zoli's launched lunch service on November 1. Go get 'em! 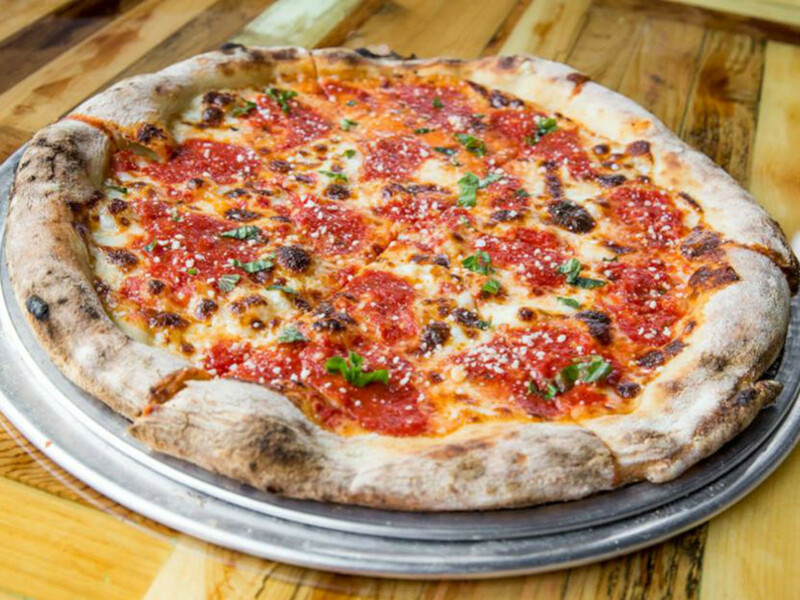 In what is surely the biggest Dallas pizza news of 2017, Zoli's, the New York-style pizzeria sibling to the Cane Rosso pizza chain, has named a date for the official opening (versus soft opening) of its new location in Addison: November 3. Located at 14910 Midway Rd., Zoli's will rejoin the family of nine Cane Rosso Neapolitan-style restaurants located in Dallas, Houston, and Austin. It will offer a selection of East Coast dishes such as New York-style pizzas, salads, pasta, and sandwiches on house-made bread. Zoli's originally opened as a slice shop in Bishop Arts, where the awesome pizza stylings of chef and New York native Lee Hunzinger won over diners and critics everywhere. That location on Davis Street was swept up in the area's redevelopment, and it closed in 2016, on Valentine's Day, sniff sniff. 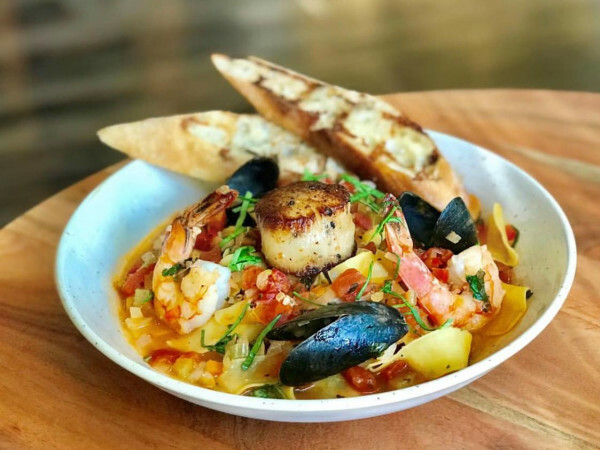 The re-opening in Addison represents a kind of Zoli's 2.0, with both lunch and dinner and a menu of East Coast Italian classics along with the pizzas and other bites from the original Zoli's. Nuggz. Old school style fried mozzarella, served with marinara. Carbonara. Spaghetti, bacon, egg, garlic breadcrumbs, and pecorino. Pizza Loves Emily. Pizza with mozzarella, roasted mushrooms and habanero honey, finished with cold cheese. Brian Luscher. Pizza with mozzarella, sausage bolognese, and creamy ricotta. Zeppole. Fried-to-order doughnuts tossed in cinnamon and sugar, with caramel dipping sauce. The New York-style pizzas can be ordered in both 14" round pie and 12" square versions, and guests can choose to customize their own pies with a mix of their favorite meats, veggies, cheeses, and sauces. The restaurant will also offer a $1 side of jalapeno ranch for dipping, previously verboten in the Cane Rosso family; the proceeds will go to Cane Rosso Rescue. Zoli's was also noted for its irreverent personality and motifs, including an iconic white unicorn head and the famous marquee sign that staffers used to comment on pop culture, now hanging on the wall. Taking over an address that was once a Snuffer's, the new space has vaulted ceilings, an open pizza kitchen, and a white marble bar. Colorful geometric wood tables designed by Sarah Reiss for R&R Design Works and custom steel-cut lighting fixtures add texture. A 10-foot Clay Stinnett painting of the "Last Supper" featuring Star Wars characters, dresses up the best seat in the house: Reiss' 10-person purple velour banquette. The 4200-square-foot space also features a private area that's just the right size to host a business lunch, dinner, or happy hour. 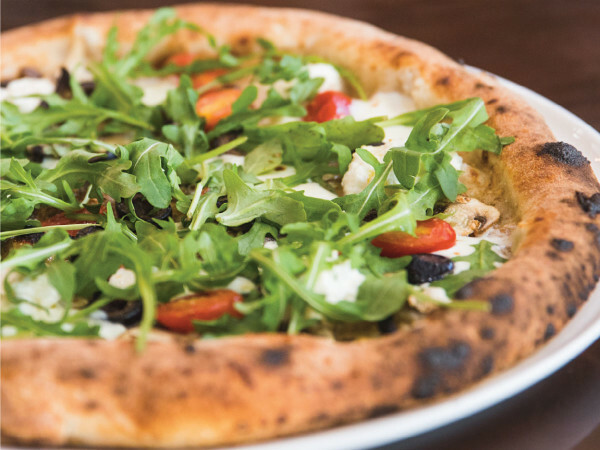 "After a long delay due to permitting and construction, we are thrilled to finally unveil the new version of Zoli's to Dallas," says owner Jay Jerrier. "The delay gave us plenty of time to travel to the East and West Coasts to find inspiration for the new menu, and we really have the dough dialed in after working with Brian Spangler from Apizza Scholls in Portland, Oregon. The large space and kitchen gives us the flexibility to create and offer so many of the things that both Lee and I ate growing up in the Northeast."